Before I started Baby Greens Rotterdam, I didn’t have a clue about what Microgreens were. When I first heard the word, I imagined baby spinach or some other sort of petite salad green. Then, a friend of mine told me I should try selling them to restaurants. I wanted to get some vegetables in the ground, but didn’t have any land, so I figured that I would try to grow them in my basement and see what happened. Fast forward weeks ahead, and I found myself on the verge of producing the first batch of microgreens! Anyways, back to the Micro-greens definition. For those of us who have limited experience growing anything, Microgreens are an excellent way to start growing food and making a sustainable livelihood. 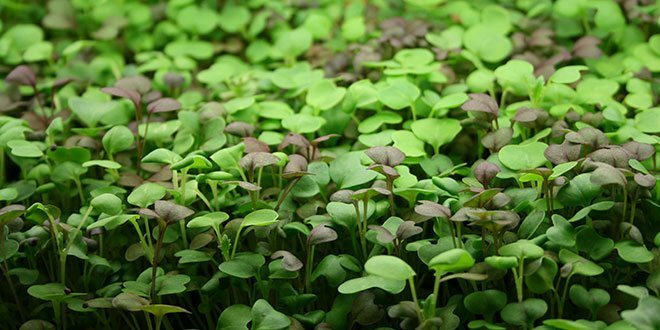 Once you get the hang of Microgreens, I guarantee that you’ll start wanting to get them in large volumes. Not because you have the romantic idea of a garden, but because you see the incredible opportunity to get high-quality products, locally produce and within sustainable methods. Food prices are on the rise and the demand for high-quality, organic food has never been higher. Microgreens are the perfect introduction to building a strong local food movement in Rotterdam. This is how Baby Greens Rotterdam started, as a urban movement aimed at producing the highest quality sprouts, microgreens and baby greens in the area of Rotterdam! As expected, the production of these delicious greens will follow the traditional high standards that The Netherlands promise in their products! And the best of all, close to the final consumers! 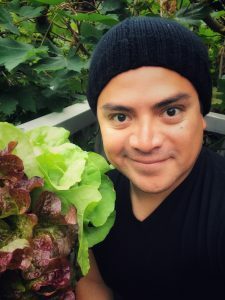 Nico Gonzalez, the urban farmer…. Coming originally from one of the largest urban conglomerates -Mexico City- made me realize two aspects of urban farming: (1) Citizens of large urban environments rarely leverage the potential to producing in/outdoor vegetables. Despite the huge availability of home spaces, people hardly exploit these areas to produce / process their own food requirements, and (2) It did not get me closer to this wonderful world that lies ahead of us. It was my long interaction to creating and developing agriculture ventures in Africa that fostered my interest in this fantastic area! Once in The Netherlands, I realized I was in the right place to follow my instincts: To use my talents and knowledge to build a community based platform that promises to deliver the best to Rotterdammers. This may be a long road, but I deem wise to follow my dream to become a prime producer of these little fellow we call microgreens!